Do you (need) to remember when? I had a good chat with el presidente yesterday. He was up for the tv smith gig as we reminisced and discussed world affairs as we prepared to our ears for the sounds of TV Smith playing some Adverts songs. That first Adverts album is an absolute classic. Crossing the Red Sea with The Adverts. It should go into any end of century lists. While it may not have the anger fuelled passion of The Clash it compares to pretty much everything else that spawned form that era. Criminally ignored. So we spoke about that and Irish punk as we listened to the Lee Harveys. They remind me of a Good Vibes era pop punk band, el presidente says its more the Lurkers or the Members. There’s similaritaries in them there descriptions. It was good to chat with el presidente. we spoke of community resistance and how politics is more relevant when communities are empowered. be that in South or Central Americ where it can happen frequently or in paces like Marinaleda in Spain. There are communities like Ballyhea or Rossport in Ireland that are speaking up. Little buds are growing throughout the country as the water tax protest gather momentum. We agree it’s not just about water but hopefully this generation will have a different body politic when they are discussing times gone by in twenty years. We were trying to figure out when we saw Paranoid Visions for the first time. For me it was the ivy Rooms, ironically where Fibbers now stands which is where we were. El presidente isn’t sure, maybe the Project. We both agreed they were chaotic and fearful events. Tonight the chaos is gone, the fear has imploded but there is still something there. Some anger and some great songs. It was easy for us back in the 80’s to get drawn into music and poitics. There was a culture of it. Kids have different genres to cling on to, be that rude boy, mod, punk or hippy. We wondered what this homogenised generation do? Anyone know? I’ve asked my teenage kids and it really seems to boil down whether what size heel you were, all the rest are the same. Maybe I’m missing something. Maybe the young punks of todays are the teddy boys of my generation. There was a few Elvis fans when I was a teenager but they seemed so irrelevant…..
TV Smith is not irrelevant, to us anyway. He is still bringing out music, doing it his own way and hoping yu might join in. The Bored Teenagers are named after a song from the adverts first album. Imagine their delight, as three young men from Barcelona, when asked to join tv on a tour playing those songs they love. No Time to be 21, Gary Gilmores Eyes, Bored Teenagers. great, great songs. Even better when they played some songs from tav smiths excellent new album. Of course Frankie shared the songwriting duties with Dickie Hammond who started his time with HDQ who are seeing a bit of a welcome rejuventation these days. As I mentioned I went to see TV smith live last night with the Bored Teenagers. Also on the bill were the Lee Harveys, who are building up a nice reputation around the Dublin punk scene. Their Still Angry album has just been released on FOAD who are doing as good a job as ever as pushing Dublin punk rock. Just because it’s a new year and out with the old and all that doesn’t mean I’m gonna forget all about Make That a take Records and I will continue trying to get you to pay more heed to their roster. Uniforms are part of a four way split recently released and Maxwells Dead have a record out with them too. I’m a sucker for nostalgia and Crass records played a big part in my punk rock education so Steve Ignorant’s new record is a particularly good one for me to see. What makes it all the ebetter is that the nostalgia is fed by the voice but Steve is trying something new with SLice of Life and I much prefer it that way, in with the new. Women’s Christmas released an album around November last year on OOAL records. Hopefully it didn’t get lost in the Christmas rush or left behind in the post Christmas clean up. Sleater Kinney are coming to Dublin in April. It’s good to see good bands playing, even if they were at their peak 20 years ago. They were an important band for many and role models for Women, paving the way (as Bikini Kill did before them) for women to see that it’s fine for them to play in bands. One of the gigs of the year for 2014 was the nightingales, upstairs in Whelans. They played to a handful but sometimes they are the best sort of audience. We were all enthralled by the racket and twists and turns each song took. It’s been a strange week, whilst there has been mass murder in Yemen, war in Syria, killings in Palestine and Afghanistan but one that has received most coverage in the West was the horrific murder spree (aren’t all murders horrific) in Paris. I suppose it is close to home and the history of France and the West isn’t one for discussion in this review. For now I’m playing French punk band The Traders as we all hope for some sanity and no racist repercussions. This is NOT an autobiography, don’t confuse it with one. 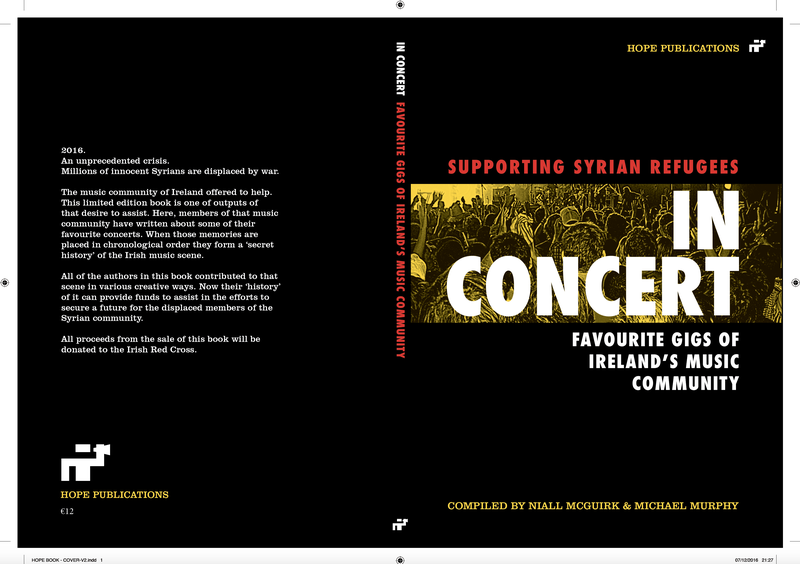 It’s not a Roddy Doyle book, don’t confuse it with one. 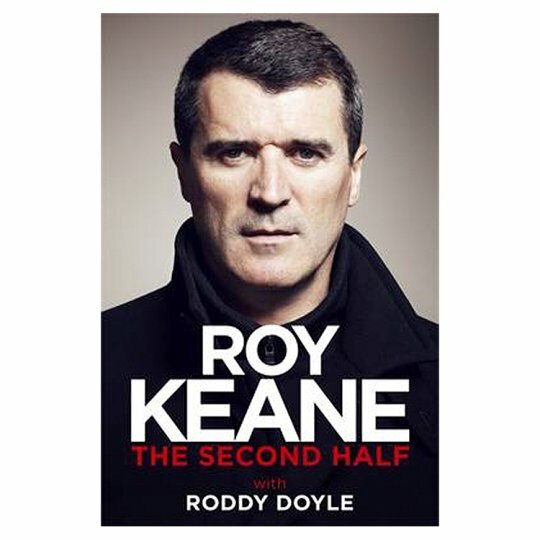 It is a series of anecdotes told by Roy Keane to Roddy Doyle about his life that he didn’t really get to put into his first book. It has some tales of life since that was released too. It has been hailed as a masterpiece of the genre, which it could well be but it is not a masterpiece. It is an interesting collection of stories but deep down it all depends what side you are on with Roy Keane. Bizarrely enough I’m on both sides. Autoboigraphical books can be a bit of a curse, people can come across as egotistical just because they talk aboout themselves. It’s really an Irish thing, we don’t congratulate sucess that well as a nation. Roy is a hugely acclaimed sportsman, extremely driven and sucessful yet we look for the downfalls. This book is not about his achievements it’s his stories of how he deals with people. Thankfully he does acknowledge mistakes, however it is all about the results and so your own personal viewpoint can’t help but be raised in reacting to his words. He speaks about hiding the fact that he hid crying for two hours after leavinbg Manchester United. His family role seems to be one of the tough guy too. This tough guy image is one he can’t shake off. Especially when he mentions that he ‘might have been grappling’ with a player during an exchange of opinions. Of course I got fixated on items I could call contradictory – an Irishman from Cork talking about ‘Boxing Day’ for example. Or when he speaks of foriegn lads playing football. As a professional working in a different country to the one he was born in does that make him one of the ‘foreign’ lads. As manager of Sunderland he worked with a consortium of fellow Irish men, are these the foriegn lads he talks of? I’m pretty sure it’s not but why not? All in all it is enjoyable getting an insight into his opinion on certain players and the odd remark about right backs lack of physicality leads me to think that the Neville household mightn’t be on his Christmas Card list. Keane has admiration for players that stand up for themselves but don’t push things too far against their manager. That is what he may be remembered by many for despite being on of Irelands most sucessful footballers.